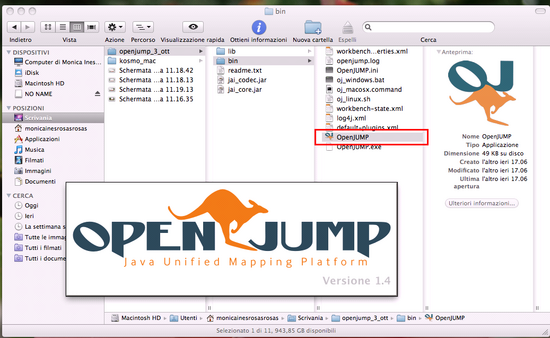 Openjump is launched using launchers (OpenJUMP.exe for Windows and OpenJUMP.app for Mac) or scripts (oj_windows.bat, for Windows, and oj_linux.sh, for Linux and for MacOSX). Launchers and Scripts are in Openjump/BIN folder. This page was last modified on 6 June 2013, at 21:05.